An open mind naturally attracts inspiration. 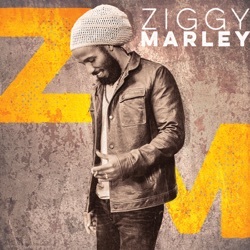 Ziggy Marley remains receptive to the countless muses and magnetic flurries of creativity surrounding him on his musical journey. In 2014, he fully embraced a distinct freedom while working on his fifth solo offering Fly Rasta—whichreceived the 2015 GRAMMY® Award for “Best Reggae Album.” Maintaining that mindset, he went one step further on his 2016 self-titled sixth full-length album out via Tuff Gong Worldwide on May 20, 2016. 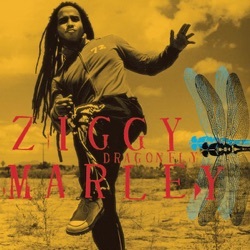 Throughout the course of his three-decade career and 16 albums, Ziggy has built a music legacy worthy of his legendary family name. With seven GRAMMY® Awards and an EMMY® to his credit, the humanitarian, singer, songwriter, and producer continually progresses at every turn. 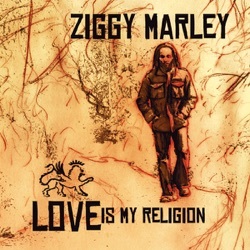 Ziggy’s musical history dates back to ten-years-old when he would watch his father Bob Marley record in the studio. His eight-album catalog with the Melody Makers encompasses three GRAMMY® Awards, countless sold out shows, and anthems including “Look Who’s Dancing,” “Tomorrow People,” and “Conscious Party.” Since making his solo debut in 2003, he received the GRAMMY® Award for “Best Reggae Album” in 2006, 2012, and 2015 in addition to the Award for “Best Children’s Album” in 2011 recognizing his first children’s album Family Time. That same year, he released his graphic novel debut, MARIJUANAMAN. In 2012, he launched Ziggy Marley Organics, which quickly became a leader in GMO-free coconut oils and hemp seed snacks available in 1000 stores. 2013 saw him achieve a Daytime EMMY® Award for “I Love You Too” and release a children’s book of the same name.